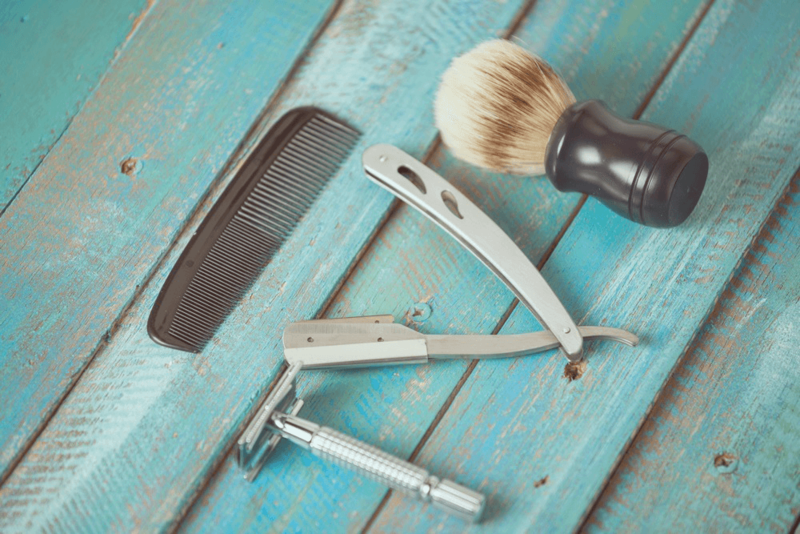 Nowadays it can be tough to determine which the best razor for men is since the market is flooded with numerous shaving tools. The traditionalists seem content with their authentic custom style of using safety razors while the avid groomer prefers the outcome of a cartridge-based model. Curiosity begs to ask which is better between the two. The truth is that both are capable of delivering a clean shave. 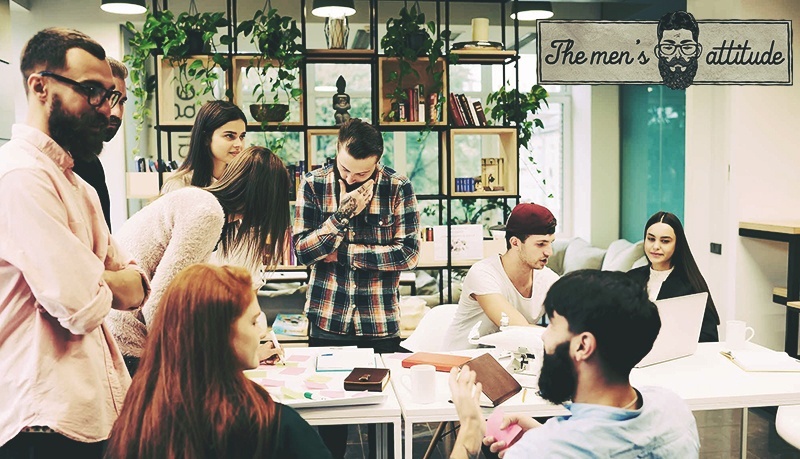 Further details and reviews are well discussed in this article, read on. How do I prevent razor bumps and ingrown hairs? Electric razors are popular choices for men who are constantly traveling. The design and functionality of these blades have drastically improved in the last few decades. These types of razors are effective and always get the job done even when in a hurry. The Gillette Mach 3 is arguably the most popular cartridge razor. These types of razors are easy to use and allow the user to shave with or against the hair follicles. They consist of a metal or plastic handle and a flexible center to allow the razor to follow the shape of the face. Their cartridges contain up to 6 stainless steel blades. Safety razors consist of a metal head and permanent handle with a replaceable stainless steel blade with double edges. Also known as, cut throat razors, these blades consist of sharp blades that fold into their handles. Their blades are made of hardened steel while the handle is made from wood, bone, plastic, horn or metal. The handles and blades are often customized to the user’s liking. ​Razor head: flexibility is the key feature of a safety razor; therefore choose a razor head that can be angled across the face and lock in place for precision cutting. Most cartridge razors come with a pivotal head to perform even the most basic shaves. ​Maintenance: choose a razor you can easily maintain; straight razors require regular cleaning of the razor lock system to preserve the shelf life, whereas cartridge razors require a quick rinse after every few shaves. ​Length and weight: consider one with a smaller grip for maximum balance. ​Special features: it is worth noting any special features in the razors such as cartridge razors with multiple blades or lubrication strips. ​​Ensure that your beard is thoroughly wet. ​​Using a shaving brush, apply shaving cream. ​​Use a razor with a sharp blade. ​​Avoid putting excess pressure; instead, let the blade do the work. ​​Unless you are experienced enough, try to avoid shaving against the grain. 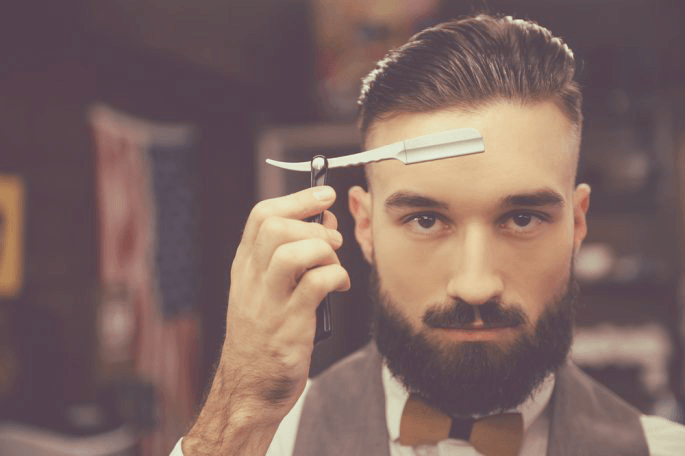 ​​Shave at the right angle- start at 90° then roll down to 45° then to 30° as you progress. ​​Use short strokes of about 1-2”. ​​Re-lather every time you want to re-shave. ​​Remember to end with the neck area, as it is more sensitive and denser than the rest. How do I ​Prevent ​Razor ​Bumps and ​Ingrown ​Hairs? ​Never shave against the grain. ​Properly prepare the area to be shaved. ​​Do not apply too much pressure when shaving. ​​Some electric trimmers are said to cause irritation and razor bumps, therefore, try to avoid using them. ​​Allow a period of one or two days between shaves, especially if you are prone to razor bumps. ​​Do not reuse blades as they become dull and dirty which in turn worsens your condition. 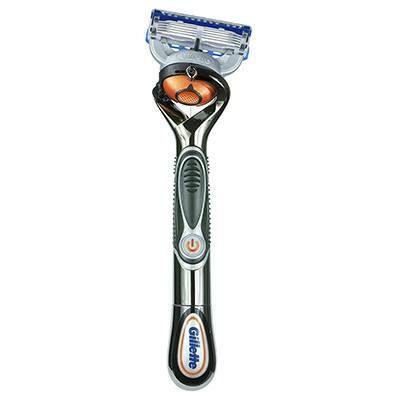 The Gillette Fusion ProGlide Razor features Gillette’s thinnest and finest blades. Its handle is designed with FlexBall ﻿﻿technology, responds perfectly to contours and cuts virtually every hair on its path. On its back, it has a precision trimmer that is ideal for shaving hard-to-reach areas such as sideburns and the nose. 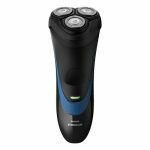 The Gillette Fusion ProGlide is battery powered and delivers an optimal shave provided that the frequency and voltage remain consistent. Regular usage weakens the voltage and frequency thus the batteries need to be frequently changed to deliver your preferred shave. The Gillette Fusion ProGlide also has a microchip that monitors the battery and signals you every time the battery is about to die. It has a feature that automatically turns it off after about 8 minutes of continuous usage. This feature protects the battery life in case the razor is activated accidentally. 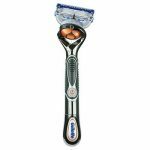 This razor also has soothing micropulses that help increase razor glide by reducing friction. The comfort level in this blade is so high that you can hardly feel the blades. Its enhanced lubra strip is infused with lubricating polymers and mineral oil to allow the blade glide smoothly over your skin, even on repeat strokes. In the old days, our grandfathers maintained a handsome and smooth face using straight razors such as the Equinox Professional Straight Razor. With one of these timeless masterpieces, you are sure to get an excellent shave without having to spend too much. It is made from quality stainless steel and is guaranteed to never tarnish or rust with use. The razor is built with an easy to open blade guard thus making it safe and effortless to change blades. It is designed with stability and comfort in mind. Its ergonomic design provides the user with the perfect holding angles to avoid any discomfort. When opened, your index and middle fingers rest on top, the ring finger on the back handle while the thumb rests near the blade compartment. 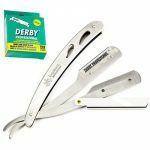 Included in the package is a box of one hundred Single Edge Blades by Derby that is wrapped individually to enhance hygiene and safety. Each blade can last up to 2-3 shaves thus making it a great bargain. It comes with a 30-day money back guarantee in case you are not satisfied with the product. The Philips 2100 offers a convenient and comfortable shave for a very affordable price. It has 4-direction Flex Heads and a CloseCut Blade System to guarantee a smooth result. The CloseCut Blade System is designed to give you a precision shave every time you embark on the process. Its blades are not only durable but also self-sharpening. This ensures that the blades stay sharp throughout the shaving process. The 4-directional flex heads move independently to cover every curve of your face for a smoother shave even on the jawline and neck. Thanks to the lithium batteries, you can now shave efficiently and for longer periods. It features a pop trimmer that is designed to maintain/trim your mustache and sideburns correctly. Its one-touch open feature allows you to pop the heads open and rinse under a tap. Its batteries can last up to 35 minutes of shaving times- approximately 14 shaves after 8 hours of charging. It only operates in cordless mode. Edwin Jagger combines the English quality with a great design and well-established craftsmanship. 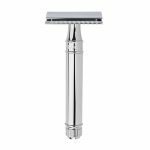 The DE89bl is fitted with latest DE razor blade head to provide a perfect wet shave. The results are comparable to that of the original straight cutthroat razor.
. The Edwin Jagger, which is a double edge safety razor, reduces in growing hair by achieving a very close shave. 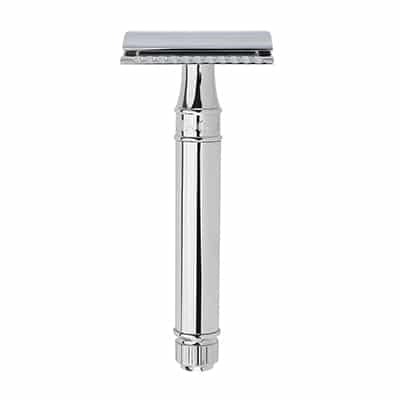 Shaving with this razor is glamorous in that the handles are balanced thus giving a more appealing close shave. The manufacturers recommend that you use a Badger Shaving Brush and Edwin Jagger Shaving Cream to get the best shave. 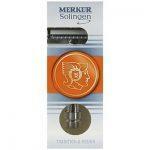 ​The Merkur 34C is ​probably one of the best safety razors. It has a relatively short handle and made by a German company. It is a modern make of the classic double edge razor that perfectly blends balls, style, and full adjustability into an ergonomic design. Shaving remains consistent from the beginning to the end. The blade gap slices through the hair instantly and scoops up the shaving residue for an effortless cleanup. The chrome finish guarantees that the razor will last long. ​There is no denying that the Merkur 34C is the clear winner here, it is also a favorite among users and experts. For starters, it gives an accurate baby-bottom-smooth shave and is consistent throughout. It has a double-edged razor and a stainless-steel blade. The razor head slices through hair and scoops shaving residue thus making it efficient. It is chrome plated to ensure it lasts long. It has a robust design that holds the blade at the appropriate angle. Threads on the tube are well spaced to make it easy to screw the head on/off. It is a bit heavy, which is good in that you are able to use the additional weight to shave your beard. The Merkur 34C is arguably the crown jewel of all razors.